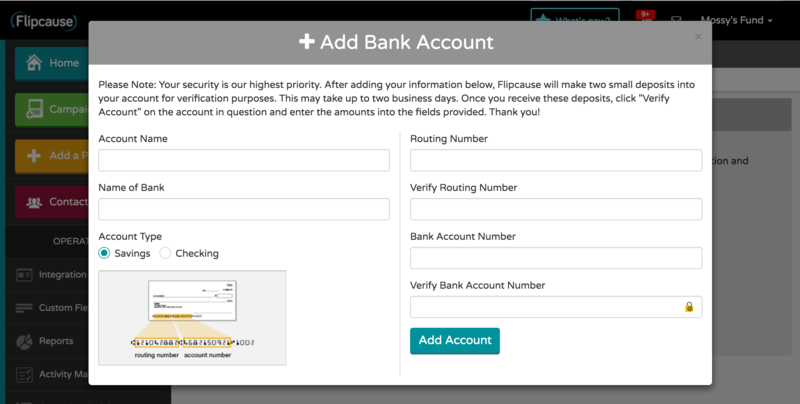 Flipcause comes with a built-in merchant account and payment processing. 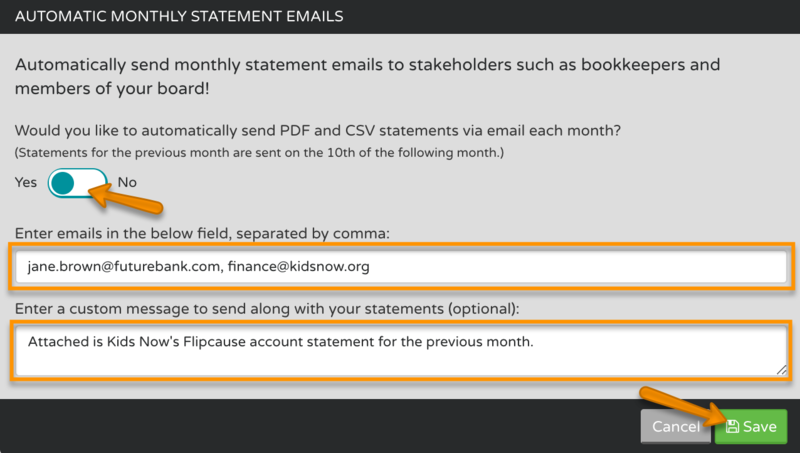 This means that your Flipcause Account becomes an additional asset account (like your bank account) for your organization. 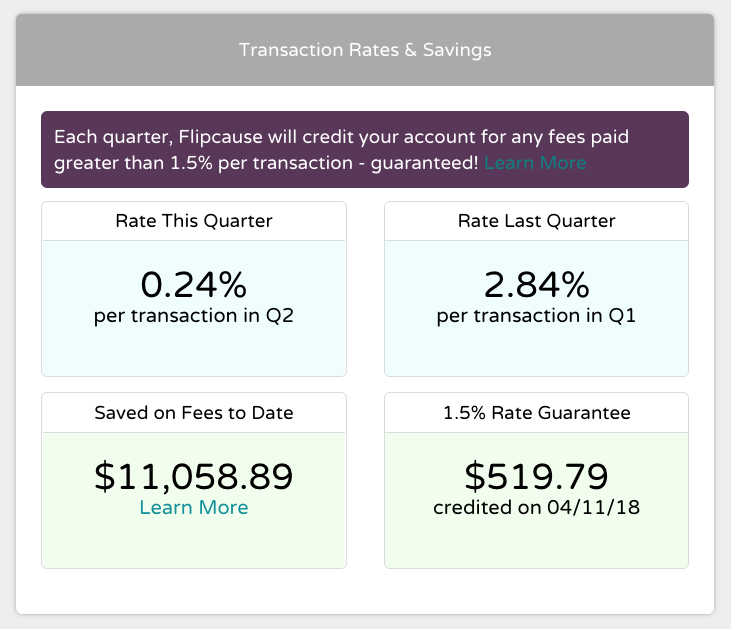 Just like money you deposit in your checking account, the money you receive through Flipcause payment gateways belongs to you as soon as it hits your account, which is immediately. As transactions are processed through Flipcause, they are instantly available in your account. 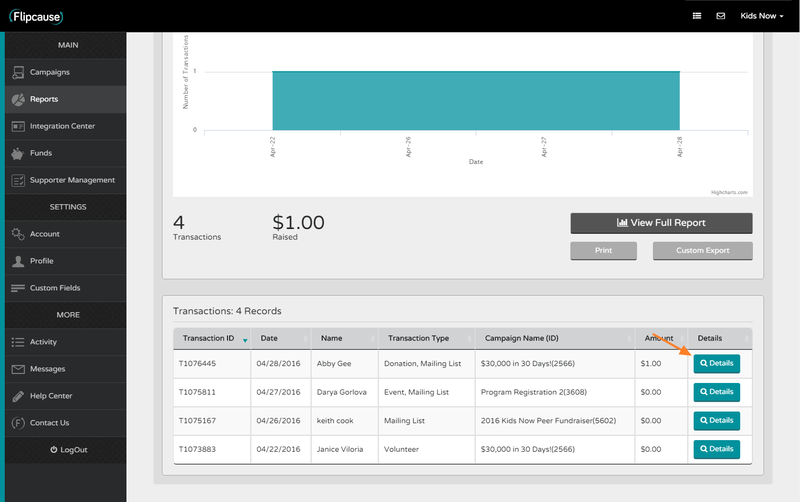 For this reason, your bookkeeper should consider your Flipcause Account just like any other asset account your organization has listed in your accounting system. 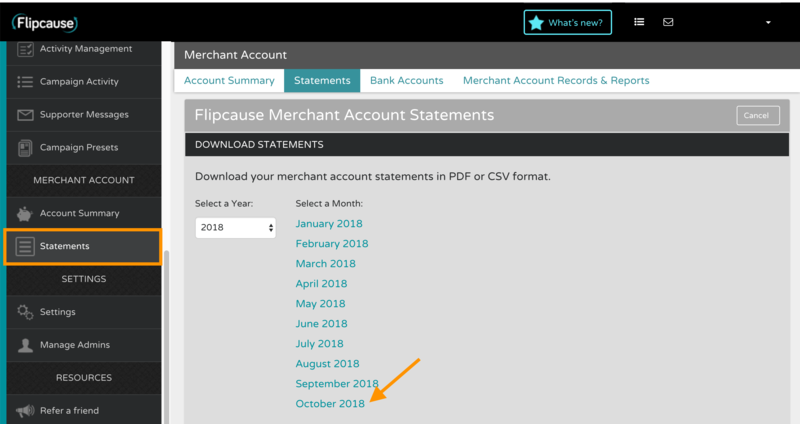 Just like your bank accounts, your Flipcause account will provide monthly statements, which you can have automatically emailed directly to your bookkeeper or accounting professional. To transfer available funds from your Flipcause Merchant Account to your bank account, go into the Merchant Account > Account Summary section on your Dashboard and click the “Transfer to Bank” button. On the overlay, enter the amount you would like to transfer and a description for your records, then select the bank account that you would like your funds to be deposited via ACH transfer. It will take about 3-5 business days for the amount requested to arrive in your bank account. 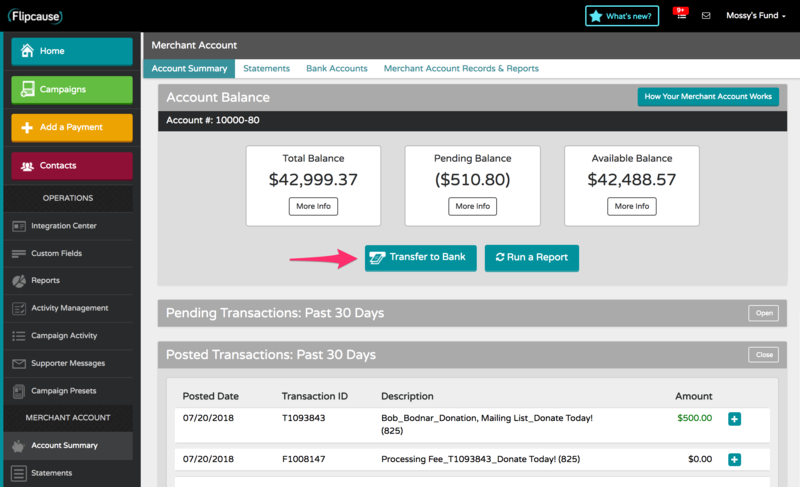 Before you can begin transferring funds, you will need to add a bank account. 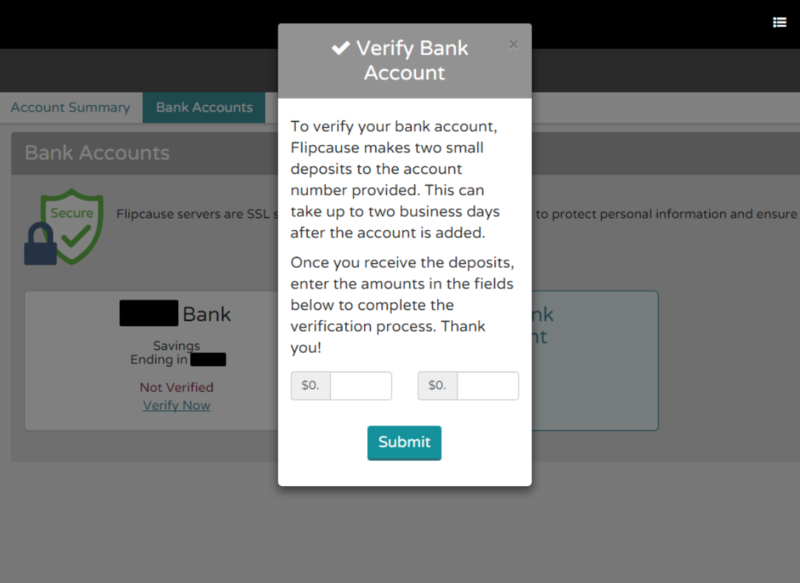 Click here for instructions on how to add a bank account. 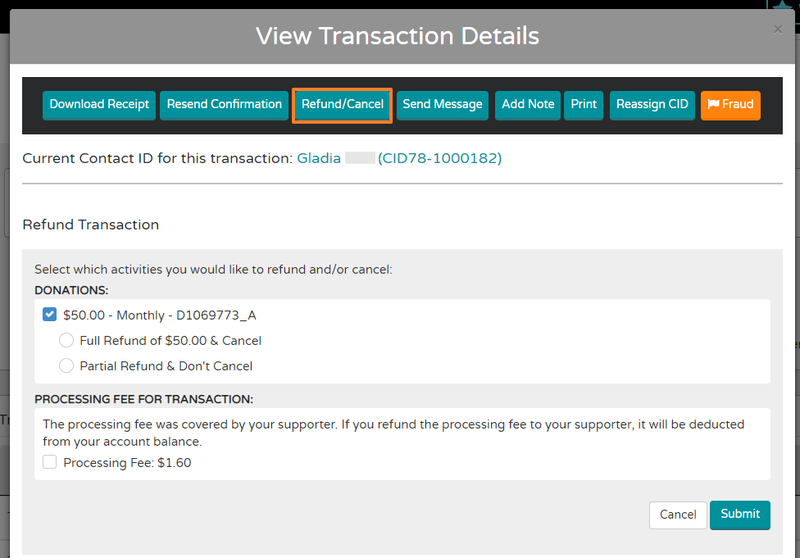 From the Dashboard main menu under Merchant Account, go to Account Summary, then click the sub menu "Merchant Account Records & Reports". From the Choose Record Type dropdown menu, select "Posted Transfers". 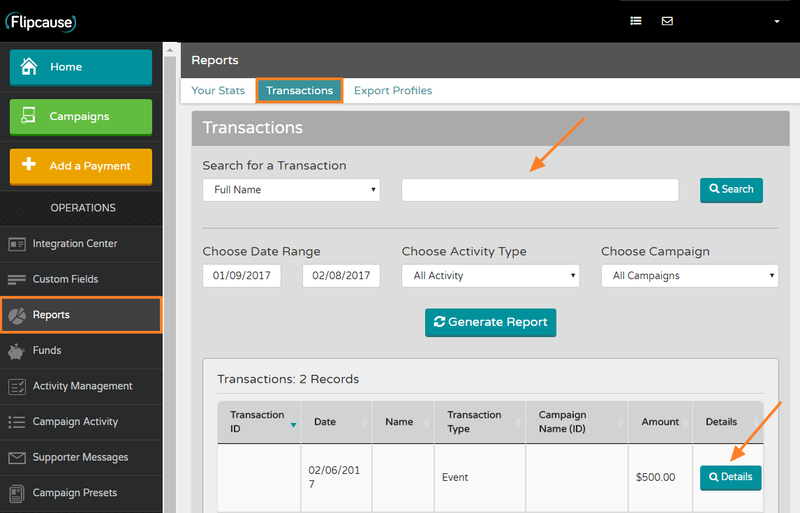 Use the Choose Date Range filter to refine your report. Click Generate Report. You will see a summary (# of records and Amount) and list of transaction activity below. 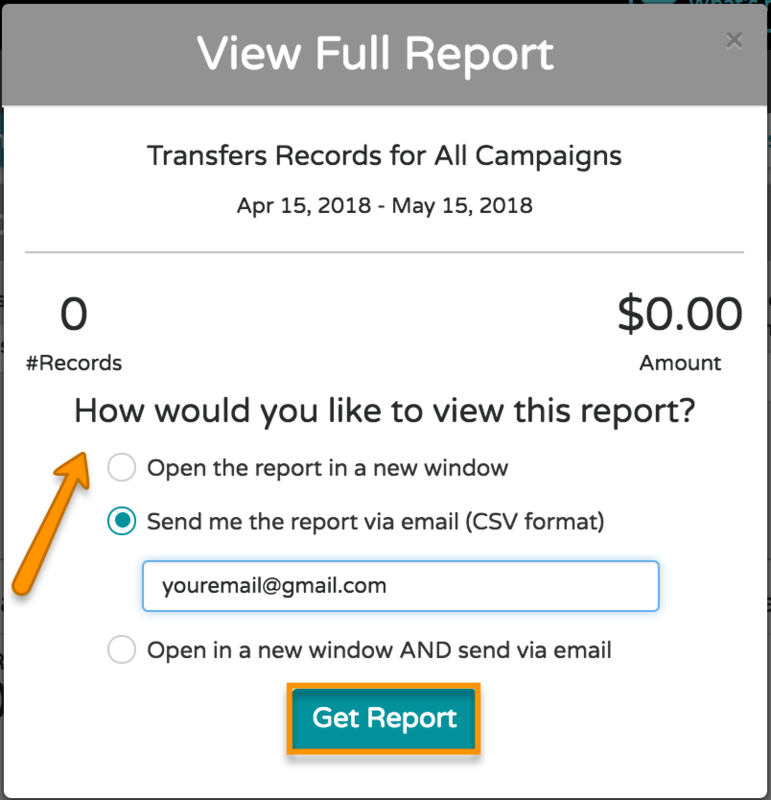 Click View Full Report to open the report in a new window or send an email copy of the report in .csv format. You can also Print or create a Custom Export of the report from this area. 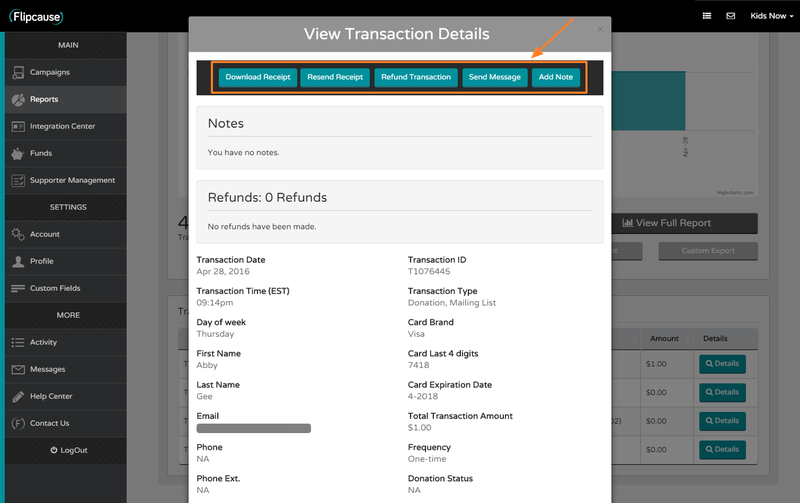 From the View Full Report popup window, select how you would like to view the report using the radio buttons. If needed, enter the email address you would like to receive the file, then click Get Report. What usually happens: about 85-85% of your supporters will opt to cover the fee, given the option. This results in about 1.1% effective rate.